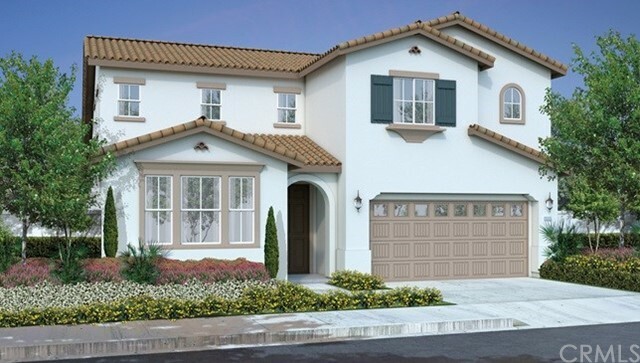 Welcome to the The Oaks at Santa Rosa Highlands by D.R. Horton. This Signature Series plan features single story living with a master bedroom and laundry on the main floor, and a loft with additional bedrooms upstairs. This popular floor plan boasts a large open great room providing plenty of space to entertain family and friends. This gorgeous and versatile home has 5 bedrooms and 3.5 bathrooms (dual master bedrooms on bottom level) in the heart of West side Murrieta with built in Stainless Steel appliances including gorgeous stainless steel hood, Stainless farmhouse sink, brushed nickel faucets, Quartz counter-top in the kitchen, Maple Shaker style cabinets, recessed LED lighting included, fire sprinklers throughout, built in pest control system and so much more. The Oaks has Smart Home features like front door Smart lock, Smart garage door opener, front door SkyBell video doorbell, Smart thermostats, Z-Wave Smart light switch, Amazon Echo and Echo Dot, whole house Wi-Fi and more. The community features include a club house with a warming kitchen, outside showers, BBQ area, large adult pool as well as a small children pool, a tot lot, walking trails, pet stations and more. This is very close to shopping and only about a mile from the 15 freeway. A great home in an awesome community with fantastic schools and plenty of space for everyone.